The sun and ophthalmic collections are not to be missed – luxurious and ultra-feminine – these styles will bring out the glamour in everyone. The Eyewear collection uses design objects based on its unmatched style. An Italian project in which tradition is constantly reinterpreted in an innovative and contemporary tone. The brand was created in 1925 by Adele and Edoardo Fendi. The brand is primarily known for its ready-to-wear collections and fur products. Fendi now offers many different luxury items and continues to grow. 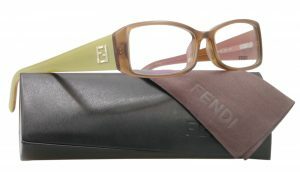 The Fendi collection is available at Good Looks Eyewear. Visit our Pittsburgh or Cranberry Township location to pick up your glasses or sunglasses.